The Revenue Committee heard testimony March 20 on two bills that would clarify the number of rental agreements beginning farmers and agricultural asset owners could make under an existing tax credit program. The Beginning Farmer Tax Credit Act, adopted in 1999, provides a personal property tax exemption of up to $100,000 and an income tax credit of up to $500 for qualified beginning farmers or livestock producers. An owner of agricultural assets—such as cropland, pasture or machinery—is eligible for an income tax credit on the rent of those assets to a beginning farmer or producer. 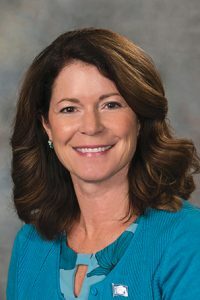 Lincoln Sen. Suzanne Geist, sponsor of LB560, said a 2018 audit by the Legislative Performance Audit Committee found that certain practices of the Beginning Farmer Board, which approves applications under the act, do not comply with the law. LB560 would clarify that a beginning farmer or livestock producer may participate in only one successful three-year rental agreement with an asset owner. Geist said the bill would not change current provisions related to asset owners because those clearly limit owners to a single agreement. The audit also found that the board approves so-called “flex rent” agreements, Geist said, which are not specifically authorized in statute. Current law prohibits leases other than cash rent and share rent agreements, she said. John Hansen, president of the Nebraska Farmers Union, testified in opposition to LB560. He said the Beginning Farmer Board has administered the program in a way that has increased participation, which was lower than anticipated at first. LB560 would prohibit practices that have proven successful in aiding beginning farmers, Hansen said. “If we do that it gets us a program, in my opinion, that doesn’t work,” he said. 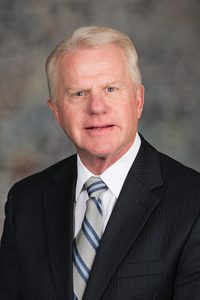 Gothenburg Sen. Matt Williams, sponsor of LB623, said 68 percent of applications would have been denied in 2018 if the provisions of LB560 had been in place. Williams said his proposal instead would change the law to reflect the way the board has administered the program, which he said has issued approximately $12.6 million in credits to more than 450 farmers since 2001. Under LB623, qualified beginning farmers or livestock producers and owners of agricultural assets who have participated in a three-year rental agreement would be eligible to file subsequent applications for different assets. The bill would clarify that tax credits for an asset could be issued for a maximum of three years. Williams said LB623 also would define a flex or variable rent agreement, in which a predetermined base rent is adjusted for actual crop yield or price, so that the practice would be authorized under the act. Both LB560 and LB623 would clarify that the credits issued under the act are refundable. Don Anthony, chairperson of the Beginning Farmer Board, testified in a neutral capacity on both bills. He said the board has operated for many years on the belief that the law’s intent is to limit the credits to one three-year rental agreement per asset. Anthony said LB560 would reduce the program’s value by limiting a beginning farmer to a single rental agreement. “It would be unlikely for a beginning farmer to acquire enough land in just one rental agreement to provide a viable operation,” he said. The state Department of Revenue estimates that LB560 would reduce the number of credits issued by approximately half, increasing state income tax revenue by $650,000 in fiscal year 2019-20 and an additional $710,000 in FY2020-21.